This place!!! This place makes me so happy. 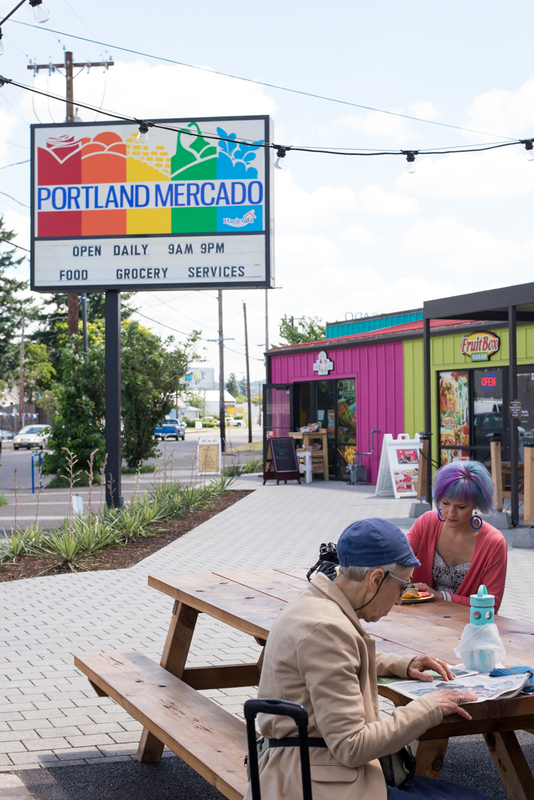 It opened back in April, and according to their website, "The Portland Mercado is an economic development project based on Latino cultural heritage and brings together diverse cultures through entertainment, art, and food." 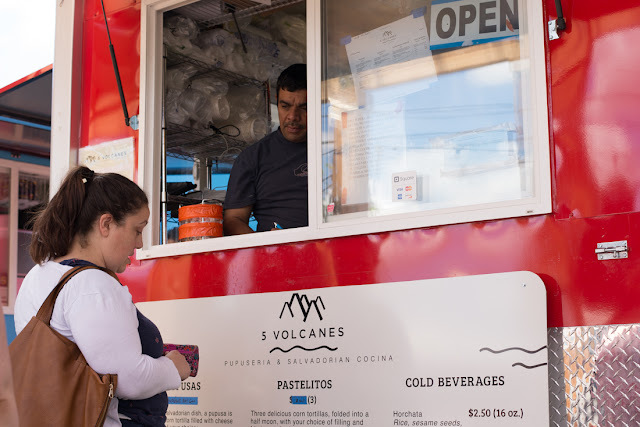 Basically, they are helping people in the Latino community open up businesses, and bringing delicious food and an economic uplift to SE Foster. If there were ever a Disney Land built just for me, this would be it. 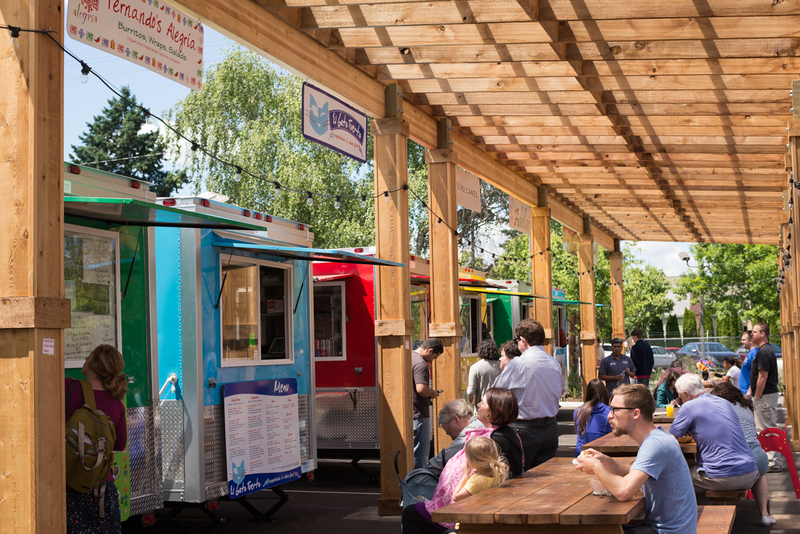 Screw Mickey Mouse, this place has 8 different Latin food carts! They've got Cuban, Argentinian, Colombian, Salvadorian, and a variety of regional Mexican vittles. You can taste all the arepas, tamales, tacos, pupusas, empanadas, huaraches, etc... that you could ever want. Inside there's a market with fresh produce, a bar, and a carniceria (which had some tasty looking marinated asada). With so many choices, it can be difficult to choose what to get. I recommend trying a couple of different places, and going with a group and just sharing everything! This time I got some pupusas from 5 volcanes. 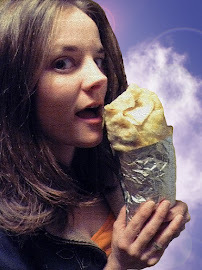 I know, not a burrito, but come on people! I was so excited, that I forgot to snap a picture before taking a bite. Sorry! I got one Pollo and one Frijole Pupusa for $6. They came out steaming hot, with a side of curtido (spicy cabbage slaw). 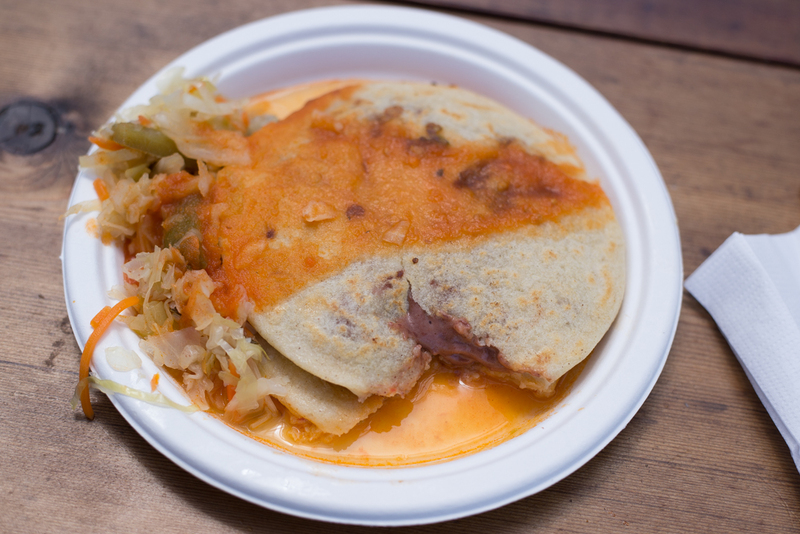 I've had pupusas in the past that were really soggy, greasy, and inadequately filled. These were the opposite of that- gently crisped, very little grease, and abundantly stuffed with the main ingredient and melty oozy cheese. The cabbage slaw was perfect, adding a dynamic texture and piquant punch. SO GOOD! I want another one right... now! 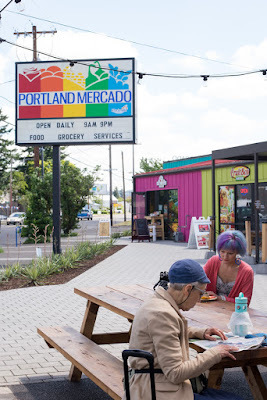 The Mercado not only offers tasty grub, but the people watching is top notch. It's a pretty diverse crowd, with native Fosterians mixing freely with Inner SE Imports. Cute families run around, old ladies lug carts, and girls with blue hair chat on phones. Who knows what you'll see? 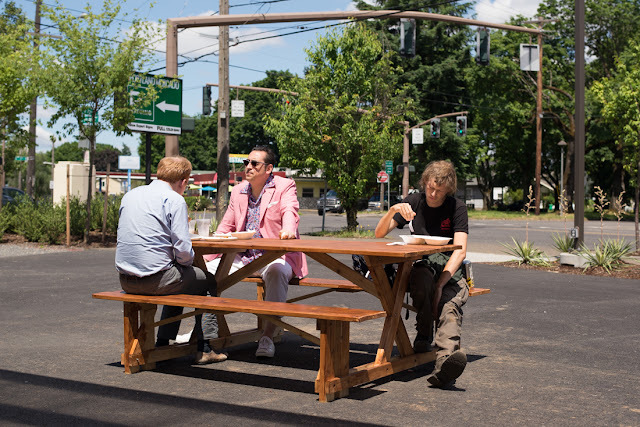 We need more places like this. Support them! Like me on Facebook for all the news!